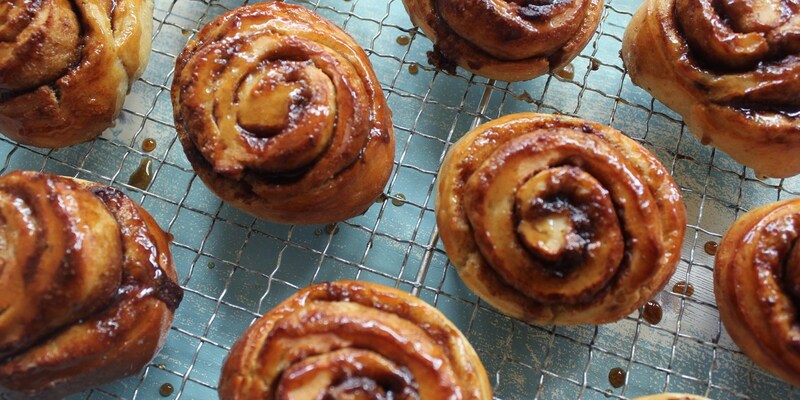 Browse our collection of bun recipes for some delicious inspiration. Chloe King's Cinnamon bun recipe is an easy take on the classic Nordic treat, while Shaun Rankin's brioche bun recipe adds a touch of spice to put a spin on tradition. Bruno Loubet's Choux bun recipe makes a fantastic canapé, and Monica Shaw's Hot cross buns are an essential part of any Easter feast. Languishing somewhere between bread and a cake, buns are the proud misfits of the baking world. Their appeal is perennial, it being equally justifiable to eat them first thing in the morning as it is as an afternoon snack and while they might not be the most elegant of items on a tea table a sticky bun is always welcome nonetheless.